With a natural blend of exfoliating Mango, Papaya Extracts and Natural Sunflower Oil, this softening mango body wash pump will keep your skin smooth, glowing and gently cleansed. Made with natural botanical surfactants and Vitamin E & Pro-Vitamin B5, the body wash is free from Mineral Oils, Parabens, Sodium Lauryl/Laureth Sulfates or Phthalates, Lanolin or Petrolatum and is not tested on animals. Aqua (Water), Cocamidopropyl Betaine, Sodium Lauryl Sulfoacetate, Aloe Barbadensis Leaf Juice*, Calendula Officinalis Flower Extract, Carica Papaya (Papaya) Fruit Extract, Chamomilla Recutita (Matricaria) Flower Extract, Mangifera Indica (Mango) Fruit Extract, Helianthus Annuus (Sunflower) Seed Oil*, Prunus Armeniaca (Apricot) Kernel Oil, Allantoin, Panthenol, Tocopheryl Acetate, Glycerin Lauryl Glucoside, Sodium Sulfate, Sodium Chloride, Stearyl Citrate, Citric Acid, Benzyl Alcohol, Potassium Sorbate, Sodium Benzoate, Benzyl Benzoate, Benzyl Salicylate, Butylphenyl Methylpropional, Citronellol, Fragrance (Parfum) *Certified Organic Ingredient. 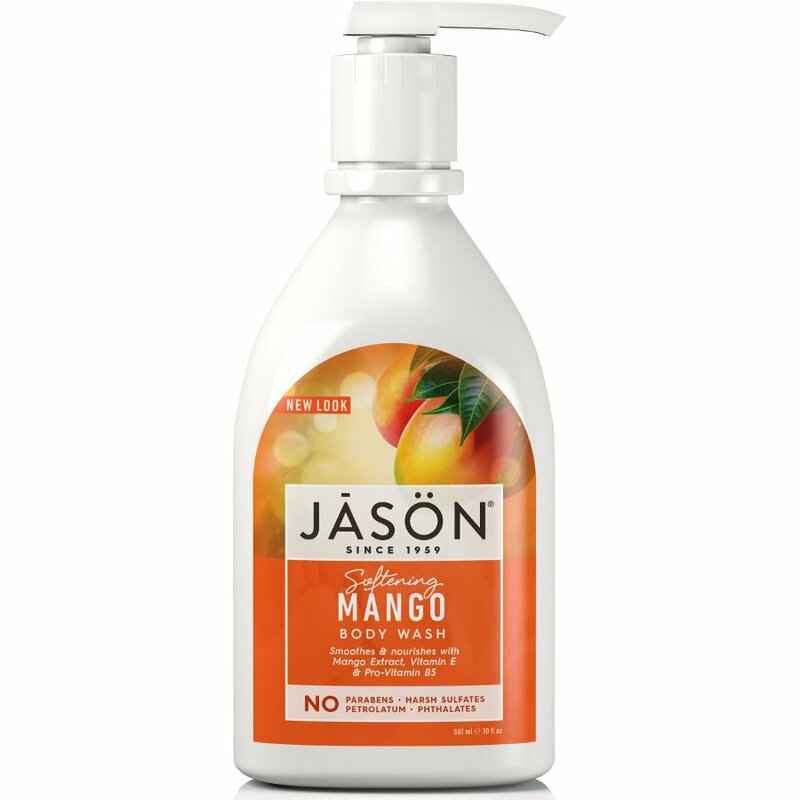 There are currently no questions to display about Jason Mango Body Wash Pump - Softening - 900ml.